Our photo acrylic blocks are a perfect way to display your really special photos. 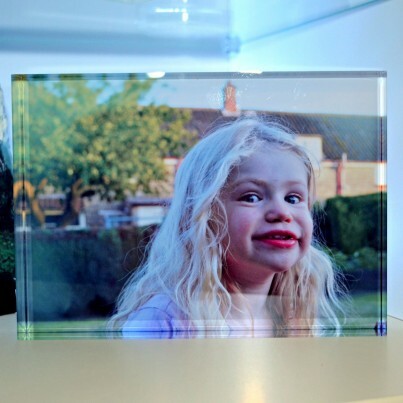 Made from 1" thick (25mm) crystal clear polished acrylic your images will really zing! This block is 5" x 7" (12.8cm x 17.8cm) and we also produce a 6" x 8" (15.2cm x 20.3cm) version. Our acrylic blocks are printed to order. 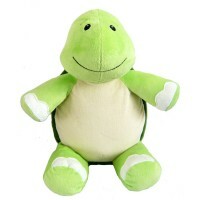 This does add a slight delay to the item; however we expect to ship the items within 3-5 days of an order being placed. All of our items are printed or embroidered to order. 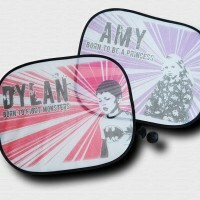 Whilst this means we are able to offer a completely personalised product, it does add a slight delay to proceedings. We will produce a virtual mock up of the finished design/layout for approval before committing anything to print. We expect to produce designs/mock-ups within 3-5 days from the point of order, and print/ship the item in 3-5 days from proof approval. We can often work to tighter deadlines so if you do need an item for a particular day then please contact us directly to discuss prior to ordering. All but very large parcels will be shipped using Royal Mail standard parcel service or MyHermes 3 day courier service for the UK and Airmail/UPS Economy for the rest of the world. Introduction: These terms and conditions apply to the placing of an order with Discofish Designs Ltd via the Kidsonestopshop Limited website (www.kidsonestopshop.co.uk). The terms 'Discofish Designs' or 'Discofish Designs Ltd' or 'us' or 'we' refers to the registered company Discofish Designs Ltd whose registered office is 155 Hitchin Street, Biggleswade, Bedfordshire SG18 8BP. Our company registration number is 07553387. 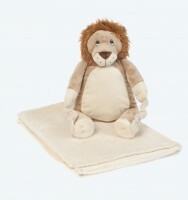 The term 'you' refers to the user or viewer of the listed items and/or products on the relevant Product Page on the Kidsonestopshop Limited website (www.kidsonestopshop.co.uk). Ordering from us: You are deemed to place an order with us by ordering via the online checkout process. We will send you an order acknowledgement by email, detailing the products you have ordered. Our acceptance of an order takes place when we despatch the order. When we despatch the order the purchase contract will be made even if your payment has been processed immediately, unless we have notified you that we do not accept your order or you have cancelled your order. The purchase contract entered into for listed items and/or products on the relevant Product Page is strictly between you and us; We reserve the right to cancel your order at any time and issue a full refund. We may refuse to accept an order: (a) Where goods are not available (b) Where we cannot obtain authorisation for your payment (c) If there has been a pricing or product description error (d) If you do not meet any eligibility criteria set out in our terms and conditions Whilst we make every effort to deliver goods on the day we specify, we cannot guarantee delivery on that day or accept liability for deliveries made outside this timescale. We cannot accept liability for out of pocket expenses or other costs incurred due to failed or delayed deliveries. Pricing: Prices displayed are correct to the best of our knowledge. In the event of a product being under-priced due to an error, we are not liable to fulfil the order at the lower price, provided the item has not already been dispatched. If the item has not been dispatched we will contact you to give you the option to either cancel the order or pay the difference. Our prices are reviewed periodically. Colour: The colour of the product you receive may not match the colour as displayed by our website on your computer monitor. Please be aware that if colour is important to you, you are advised to contact us in advance of placing an order and that your order is placed at your own risk. Liability: Nothing in these Terms will affect or limit your rights as a consumer under English law; or will exclude or limit our liability for death or personal injury resulting from our negligence. You acknowledge that we cannot guarantee and cannot be responsible for the security or privacy of the Website and any information provided to by you. You must bear the risk associated with the use of the Internet. Whilst we will try to ensure that material included on the Website is correct, reputable and of high quality, we cannot accept responsibility if this is not the case. We will not be responsible for any errors or omissions or for the results obtained from the use of such information or for any technical problems you may experience with the Website. If we are informed of any inaccuracies in the material on the Website we will attempt to correct this as soon as we reasonably can. In particular, we disclaim all liabilities in connection with the following: incompatibility of the Website with any of your equipment, software or telecommunications links technical problems including errors or interruptions of the Website unsuitability, unreliability or inaccuracy of the Website inadequacy of the Website to meet your requirements. To the full extent allowed by applicable law, you agree that we will not be liable to you or any third party for any consequential or incidental damages (both of which terms includes, without limitation, pure economic loss, loss of profits, loss of business, loss of anticipated savings, wasted expenditure, loss of privacy and loss of data) or any other indirect, special or punitive damages whatsoever that arise out of or are related to the Website. Governing Law and Jurisdiction: These terms and conditions shall be governed by the laws of England (and expressly excluding the United Nations Convention on the Sale of Goods) and the parties irrevocably submit to the non-exclusive jurisdiction of the courts of England and Wales. We do not warrant that materials/items for sale on the Website are appropriate or available for use outside the United Kingdom and Eire. It is prohibited to access the Website from territories where its contents are illegal or unlawful. If you access this Website from locations outside the United Kingdom and Eire, you do so at your own risk and you are responsible for compliance with local laws. If you're not happy then we're not happy! If you are dissatisfied with any items or products bought from us then you should contact us directly by email at info@discofish.co.uk or by telephone (07787 643640) and we will use best endeavours to resolve the issue with you. Due to the personalised nature of the items that we produce, we are unable to accept cancellations after goods have been personalised. If you wish to cancel your order then please contact us by email at info@discofish.co.uk or by telephone (07787 643640). We will check on anything that looks as if it could be an error although please check your order on screen and the confirmation email carefully as we cannot refund personalised products which have been mis-spelt. If you wish to return an item, please contact us by email at info@discofish.co.uk or by telephone (07787 643640). We will then advise on how to proceed with the return.